Republicans have held Ohio’s 12th Congressional District for decades, but recent polling shows Tuesday’s special election is now a toss up. Though the GOP has little room for error, that did not prevent President Trump from initially tweeting his endorsement for the wrong candidate, and then picking a fight with NBA superstar LeBron James, Ohio’s favorite native son, hours before a rally in support of GOP candidate Troy Balderson. Balderson’s opponent, Democrat Danny O’Connor, is from Franklin County — but so are about a third of the district’s voters. The 12th District covers all of Delaware, Licking, and Morrow counties, along with parts of Franklin, Marion, Muskingum, and Richland counties. In a Monmouth University poll released Wednesday, O’Connor did the best in his home region, holding a 54 percent to 36 percent lead among Franklin County voters. 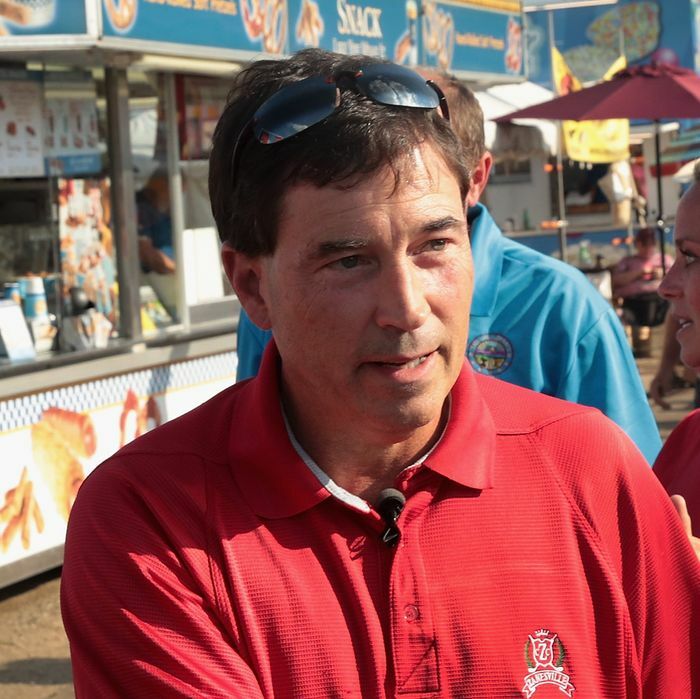 Balderson led 48 percent to 38 percent in the remainder of the district, which includes his hometown of Zanesville. I just want to explain to you why we beat Franklin County, why we beat Delaware County, where everybody thought that’s what was going to happen. We had the odds against us the whole time. Everyone said “you’re too far away Troy, you can’t do it” but guess what it means when you get a community, not just one person or six people, but a community that gets behind you, this is what you get. You get someone that comes out of a nine-way primary, 80 percent of the vote. I’ve got to have 85 percent. Eighty-five percent from Muskingum County this time, not 80, but 85. I’m counting on that. My opponent is from Franklin County, and Franklin County has been challenging. We don’t want someone from Franklin County representing us. And it’s really important that we move that needle tomorrow. One of the reasons I love crisscrossing our district is because whether I’m in Zanesville, Mansfield, Delaware, Dublin, or anywhere in between, I find that the folks I talk to are all worried about the same issues. This district deserves someone who is going to represent all of us and fight for our priorities in Washington, and Mr. Balderson just made it pretty clear that’s not him. As of 1 a.m. Tuesday, Balderson had offered no explanation. To put Balderson's comments saying we shouldn't have someone Franklin County representing OH-12 in some perspective, imagine an NYC mayoral candidate saying "we don't want someone from Brooklyn!" Brooklyn makes up a similar share of NYC vote as Franklin does of OH-12 vote. The incident did little to ease Republicans’ concerns about Tuesday’s race, which is the last special election before November.